Over the week I've enjoyed a few leisurely breakfasts with a few leisurely days off. 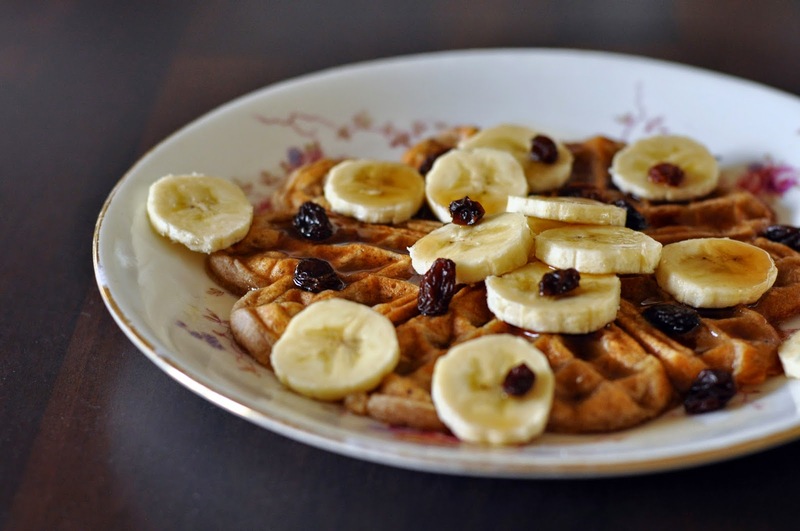 My favourite breakfast being these spelt waffles with banana, currants and maple syrup. I also got the chance to try out my new waffle iron which was chosen specifically for the shape of waffles it makes. A chilly 24 hours in Berlin including Boy, bratwurst and burgers. A lazy lunch in Reigate, having a mooch around the shops and a stop of at Cullenders for pea and bacon soup and the best flat white I've had for a while. Including an obligatory stop at Chalk Hill bakery to pick up a loaf or two to take home. Making the perfect snickerdoodles. Probably won't be long before there's a dog with a similar name, that's what they're doing with breeds these days, right? Hearing in the news that a French court has overruled parents naming their child Nutella and named their child Ella instead for them. How considerate. That picture of a Daschund reading Jamie Oliver's Comfort Food on the loo. A visit to Joe's Southern Kitchen to start this year's chicken escapades. Could this replace my love of burgers? Friendly deliveries from Abel & Cole and Ocado. They've got it just right. And whilst we're talking food (always) some of my favourite recipes from some friendly bloggers include Rosie's spicy chicken pho and Lucy's chocolate chip cookie dippers. 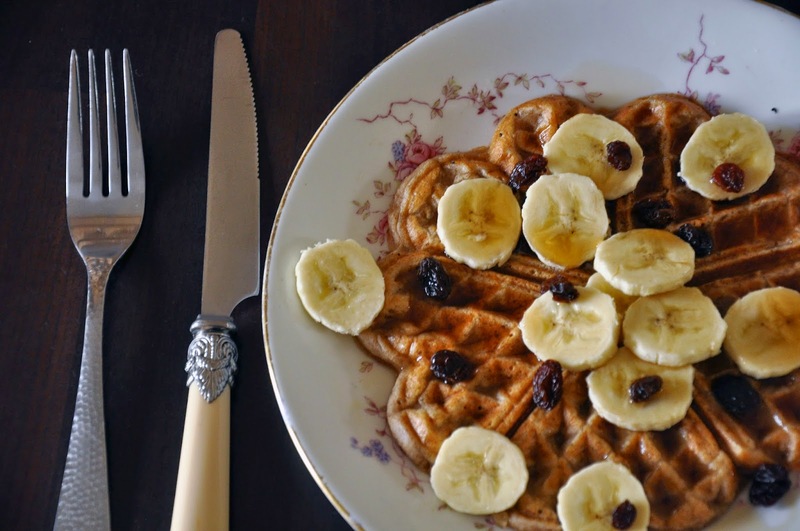 And if you're looking for the waffle recipe, you can find it here. Regular flour would work also. Sooooo delicious. I should've save this picture.